Maybe his elemental attacks could instead adopt elements from his equipped weapon, rather than making a new element? It could work, since dragons in RPGs always have a plethora of elemental breath attacks. Not like they haven't done close enough with Zephyr. Side note: What if he actually had a mechanical or energy dragon? Like he summons a dragon to ride around on for his ultimate, or one of his abilities summons a smaller one as a pet for a little while? Just thinking aloud there, but it would be pretty cool. This, plus maybe a brief, almost-skeletal image of energy-colored wings when he activates his abilities, if he doesn't have them equipped. Rhino is a tank? Well, he fails at it for me. Trinity works as a tank better for me, but to you, cool idea! Though I would have thought he would look like a dragon. Or they could add a mini-dragon sentinel, eventually make it into a sentinel skin for, er... Wyrm? Why can i give you only one "+1" ??? Its unfair!!! Why Is no one posting here for so long. I know that I'm spamming, and I will do so if no one posts here for so long! Edit: It's called Spamming, isn't it? Eh, this topic is pretty much sucked dry. Baseline was for Plasma to be a new theme that would weaken armor. From what I take from this, Plasma could be a new "theme" that can weaken enemy damage output and increase damage received from all sources. It would make Dragon seem more of a threat when he can debuff two things simultaneously. Now as whether Plasma should be its own element is questionable. We already have numerous issues with Damage 2.0 right now along with scaling. But the theme itself is a pretty good idea, the abilities do need an overall rework though. I still prefer the Winged Lancer concept, a Warframe that can close the gap pretty fast while still being able to deliver shattering blows. Well, the word Wyrm DOES refer to a European Dragon. Surprised that hasn't already been a thing. Don't let this topic whiter! This is @(*()&#036; awesome. Love to see this in the game. I like this concept, but unfortunately there is one thing standing in it's way: Valkyr. Sorry to say, but Dragon's power set and stats are just WAY too close to Valkyr's. This guy needs more to stand out from the crowd, otherwise I don't see him going anywhere. One other thing: add links to the new ideas into the original post. No-one is ever gonna see the revisions if they have to trawl through 25+ pages just to find them. 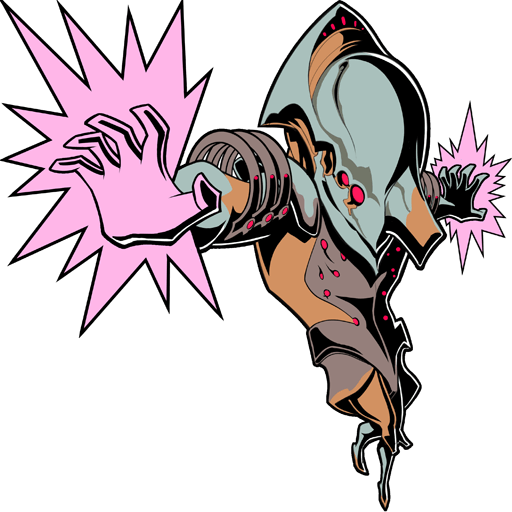 Rather than end with an AoE attack, this ability could actually home in on a specific target, striking the victim with wrist-mounted plasma daggers that ignore armor and shields. Once again, rather than AoE, this attack could launch a rapidfire series of high-power, high-debuff plasma balls that home in on the selected target. As a tradeoff for the attack's range, Dragon is immobilized while using this power. This is still a team-based game, and your teammates would certainly appreciate a little help rather than dealing with a lone wolf. I suggest a slow-mo buff--Dragon increases the reflexes of his allies with an adrenaline surge, slowing down time itself and allowing his team the opportunity to line up plenty of headshots, and also take a moment to survey the battlefield and plan out tactics. This is the ult that can make or break this frame. The defensive version is the best way to do it. Dragon is immune to all enemy damage but that which comes from the challenged foe, while his challenger is at the least temporarily removed from combat. My suggestion is to make it a one-on-one melee match, with dragon using his built-in wrist daggers should he not have a melee equipped. In turn, Dragon's melee damage is incredibly amped up. Also, rather than just challenging a single foe, Challenge could be time-based. After defeating one enemy with time left on the ability, Dragon has a brief moment to challenge another foe, otherwise the ability cancels itself. As for removing plasma from him: just because melee 2.0 removed the possibility of a new element doesn't mean his plasma attacks need to be taken out of the equation. After all, what is plasma but superheated gas? And what are the most effective elements against infested? Just make his plasma attacks do a combo of those damage types. If he's gonna be a tank, call him Fafnir. If you don't like that, just look at mythology for some help. That's where a lot of the names for the frames come from. DE, do me a solid and just make this game able to have fan-made warframes, because I really want to play as a dragon frame. Yes, but not on ground. I think that attacking from above is more suitable for a Dragon. So After targeting the enemy he would jump and then do a homing charge. Btw, Ash has wrist-mounted daggers/blades, so this guy could use Claws (he's a dragon after all). Yes I mentioned that (not claws) to add a place where Wing Syndana would be used. Is Endrian still supporting this? Edit: Seems that he is. Why no-one is posting here? WHY? Again, DO NOT LET THIS TOPIC WHITER! But really, maybe if Endrian filed down the concept to a specific variant it would make the whole thing go by faster. 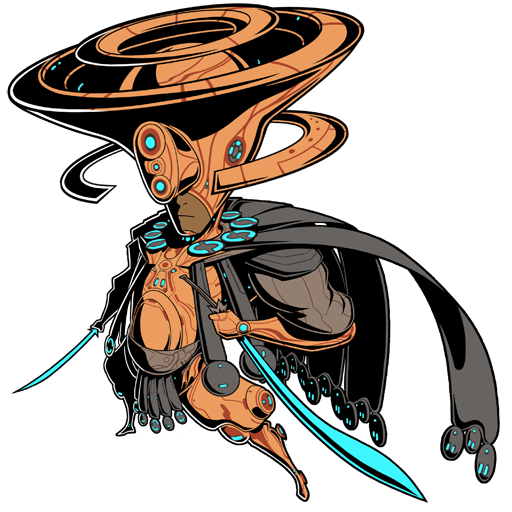 What I feel is that he should rework the concept with unique skillsets that make him stand apart from other frames, which was the huge selling point of Zephyr. I myself have a few ideas that I think could fit really well with the "Plasma" and "Dragon" theme. (Skill 1) Plasma Breaker - Unleashes a flamethrower of plasma built into his gauntlets. Increases damage absorption of all enemies affected by this skill and has a minor chance to set them on fire. Power Strength values are up for discussion. (Skill 2) Solar Gust - Dragon grows a pair of energy wings from his back, jumps in the air, and flaps them three times, dealing minor damage but throwing any enemies caught into the air and reducing their gravity (due to the plasma and stuff :3). (Skill 3) Burning Spiral - Dragon summons flames around him, and uses his plasma boosters to launch himself through the air, spinning at high speeds to create a vortex of fire around him. Players can alter Dragon's course albeit slightly. This move can be used in the air as well. Should Dragon land on a surface, the ability is cancelled, but a Plasma wave is emitted that stuns any nearby enemies. (Skill 4) Dragon Storm - Dragon gains a plasma aura around him, during which shields and health will constantly regenerate even while under fire. Bolts of plasma will rain down around Dragon for the duration of the ability, which deal massive damage (and splash damage), as well as weakening any foe that is hit by them (they will have a similar plasma aura around them). WHY IS IT NOT IN THE GAME?!!!? People want Dragon in warframe. Saw some post about in on prime time. 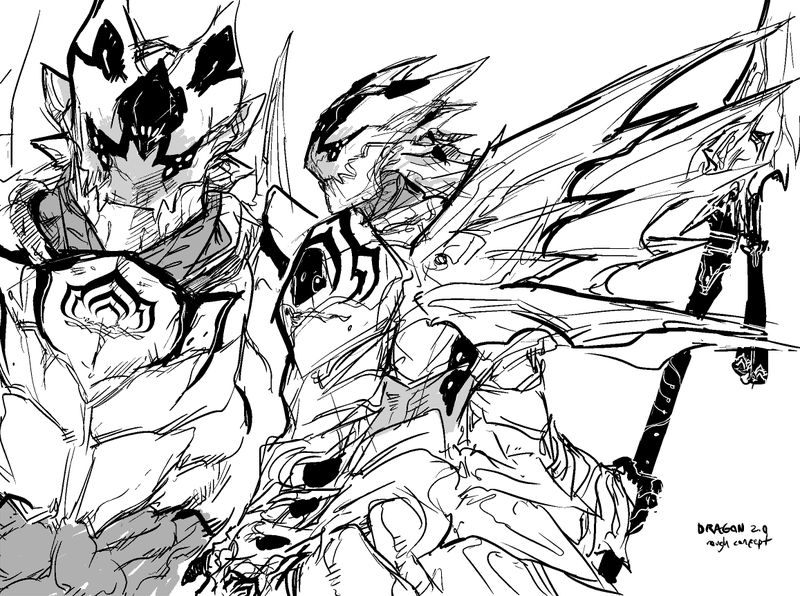 I want the DRAGON warframe too. I've been using Oberon with Oryx Helmet as a current place holder. He looks epic and all, but I want an original Dragon Warframe. And this concept has my support! Keep this going guys! I have an awesome feeling about this!